Danny Welbeck's first start of the season saw him grab a brace in Arsenal's 5-0 win over southampton on Saturday. The English international has recently returned from a nine-month ankle injury lay-off and his comeback was a big shocker to the footballing community. He was at his best, unlike some other players who struggle to pick form after being out for so long. 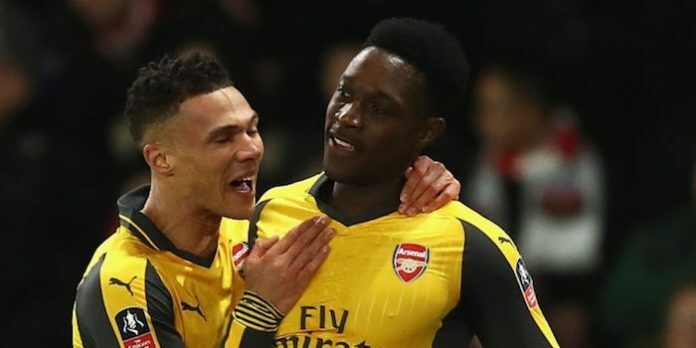 In an interview after pushing the Gunners to the fifth round of the FA Cup, the former manchester United striker admitted that his journey to full recovery wasn't a smooth one. “It was obviously good to be back out on the pitch after such a long time out,” he said. “It’s been a tough few months. “I think because I had this experience before, coming back from an injury, I kind of knew what to expect even though it’s a tough time. “The end game is to be back out on the pitch and playing in the first team and I got that opportunity today. Theo Walcott added a hattrick to Welbeck's double to seal a 5-0 win which crashed the Saints out of the competition.